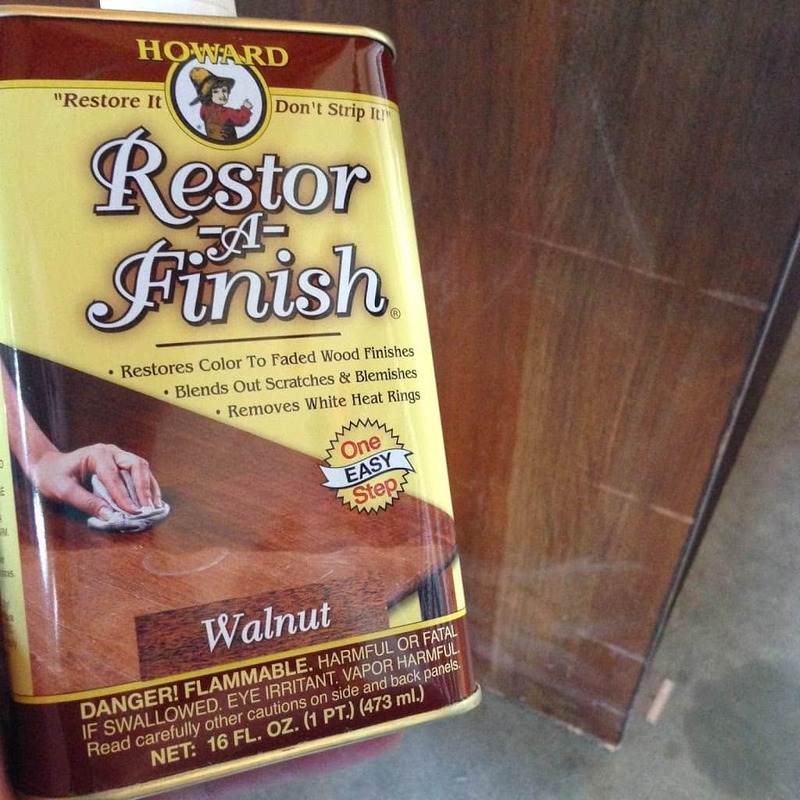 *Disclaimer* This is not a sponsored post, I am just completely head over heels in love with my new discovery, “Restor-A-Finish”! 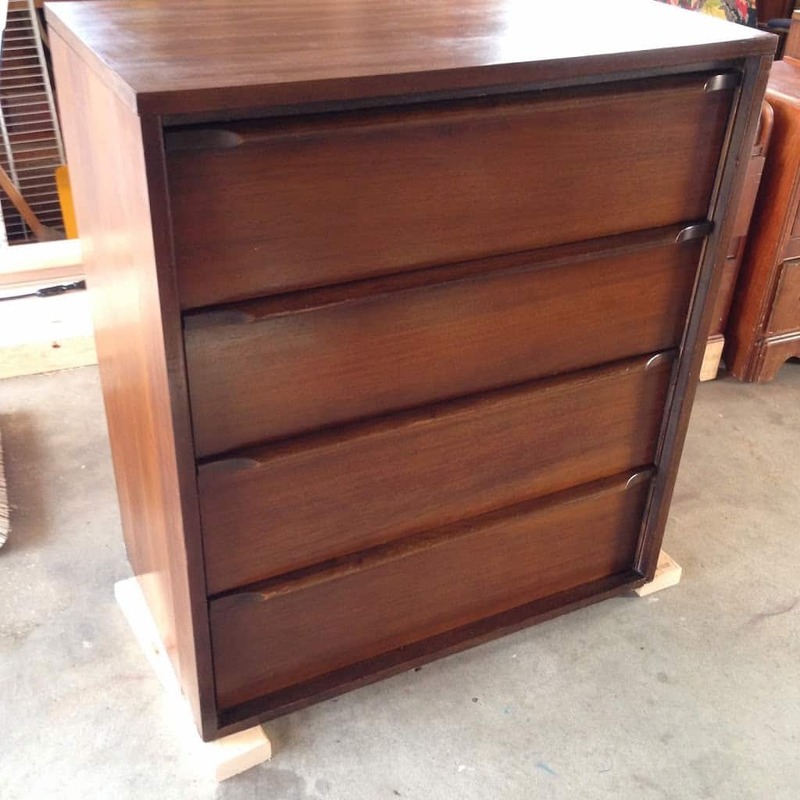 Recently I found a gorgeous Midcentury wood dresser for sale, and when I went to pick it up the girl selling it offered me this one for free! It was in bad shape though. 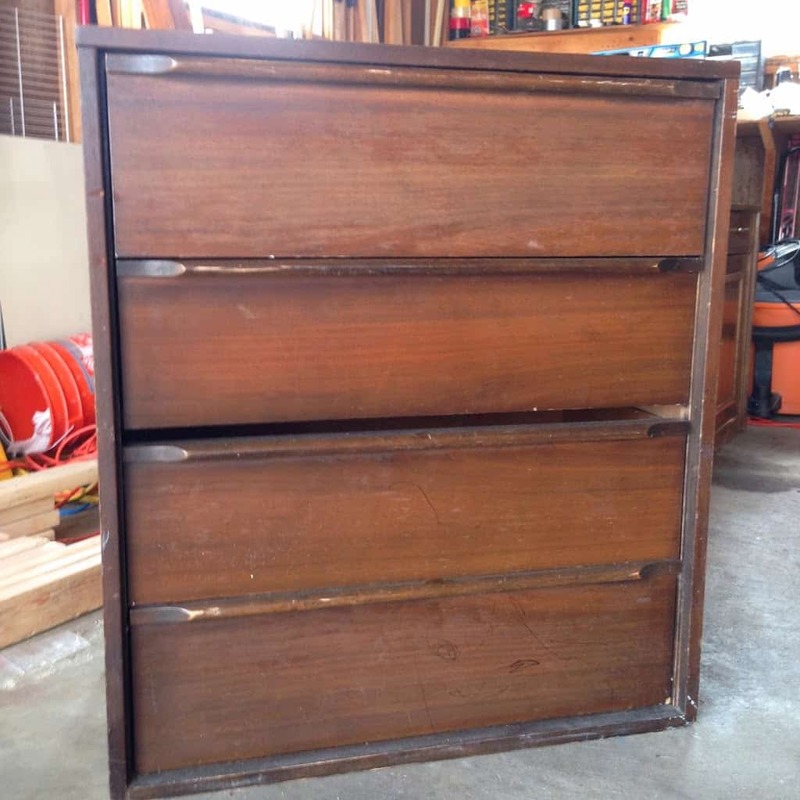 We’re talking scratches, dried out wood, and it was VERY dirty. 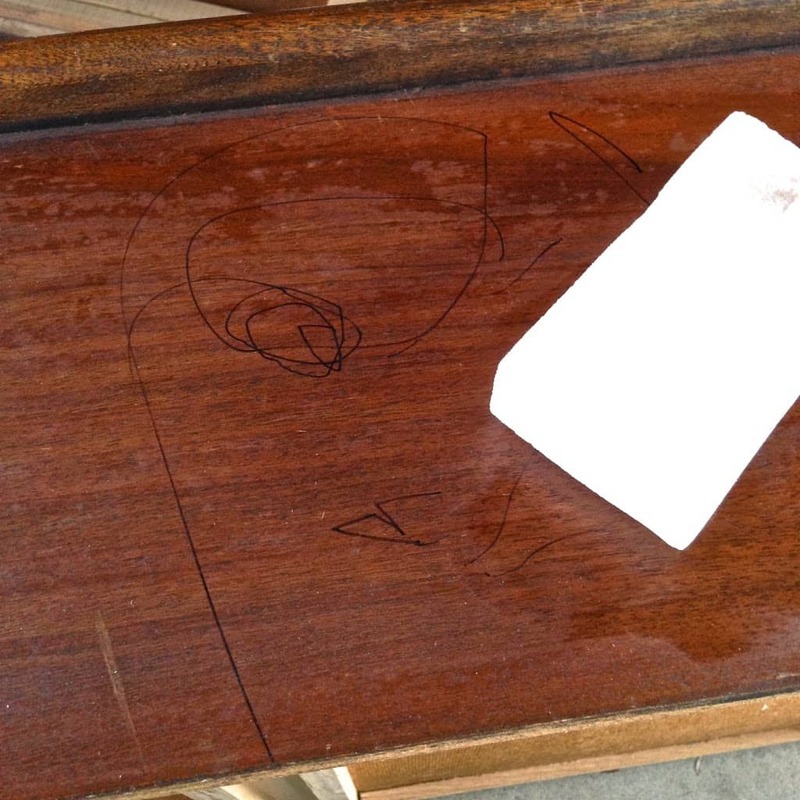 It also had been attacked by a kid with a Sharpie. 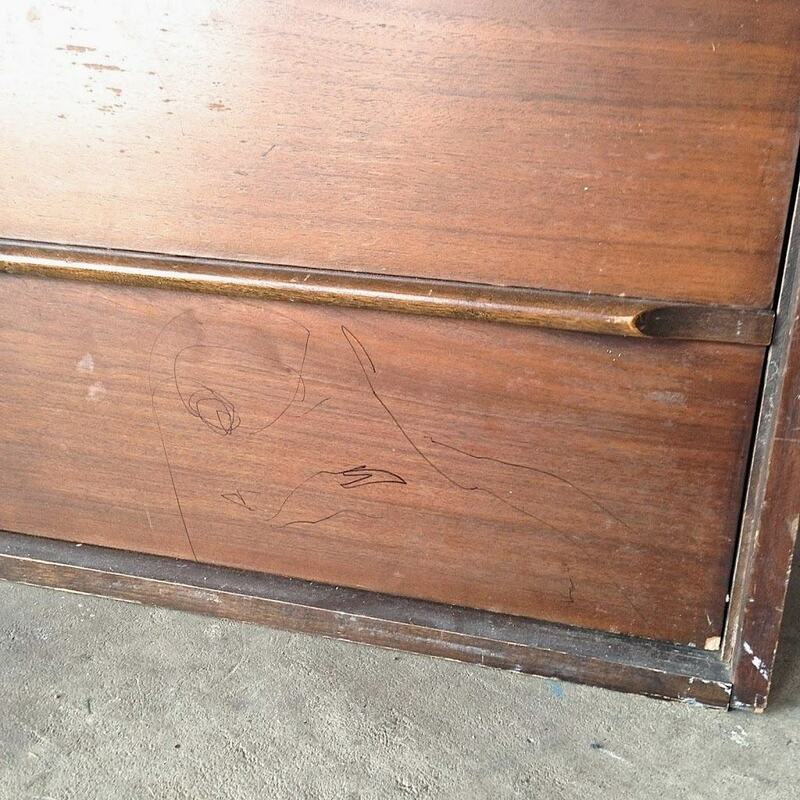 It also had these bad scratches along the side. First I attacked all the Sharpie marks with a magic eraser and some elbow grease. Thankfully that did the trick! 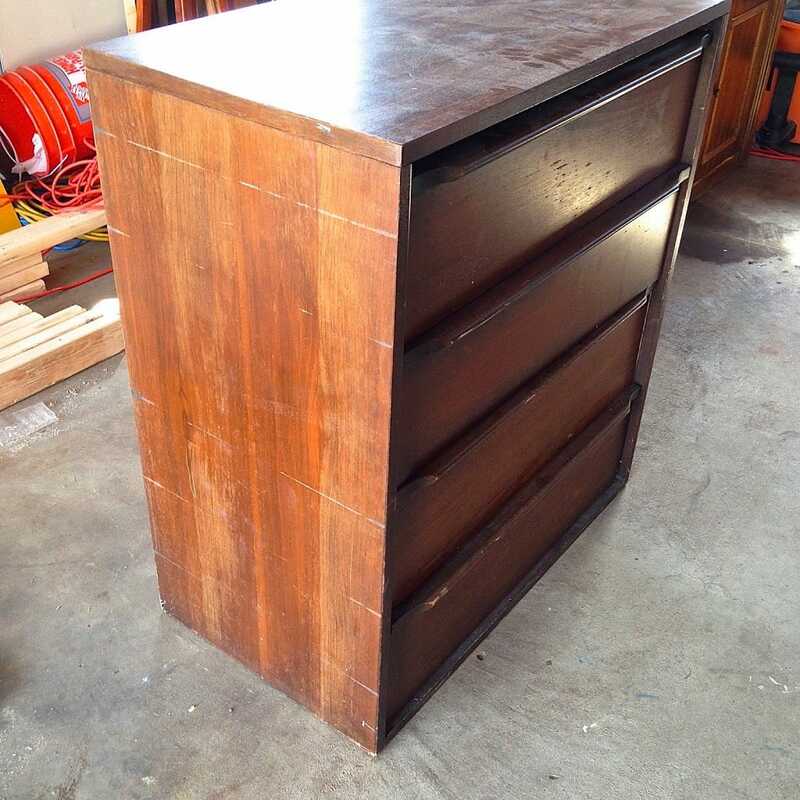 Then at the suggestion of one of my favorite bloggers, I used Restor-A-Finish in Walnut color. I think it was around $8 at our local Menards. I applied it with a old rag. After letting that cure for 30 minutes, I applied a coat of Howard Feed-N-Wax to seal it. I also used an old rag to apply and buff. 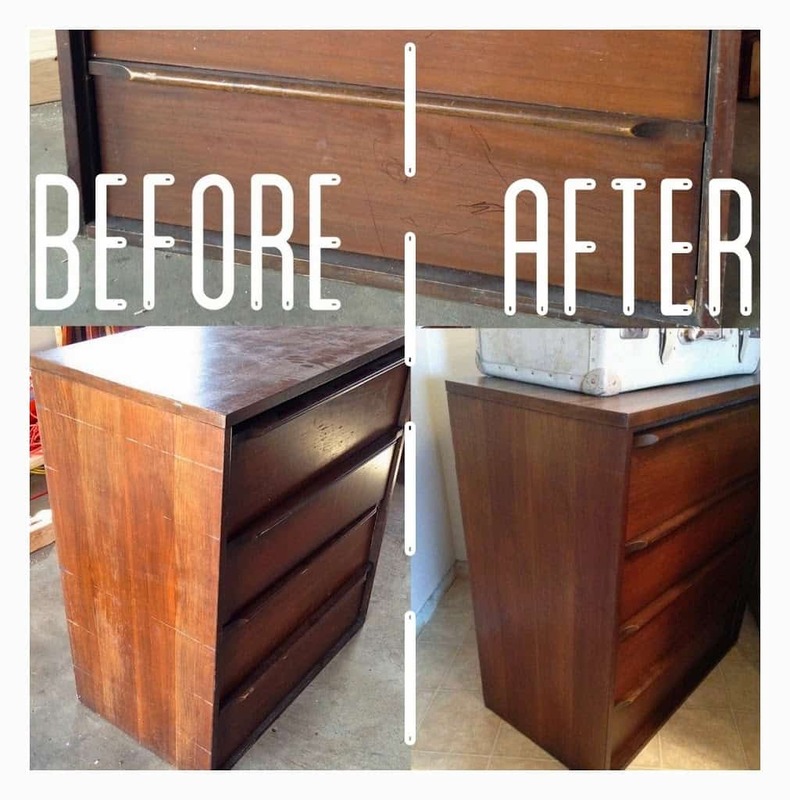 30 minutes later I buffed that off leaving this beautiful transformation! In the spots where the scratches were the deepest I made sure to apply the Restor-A-Finish a bit heavier, but I only used one coat on the entire dresser! 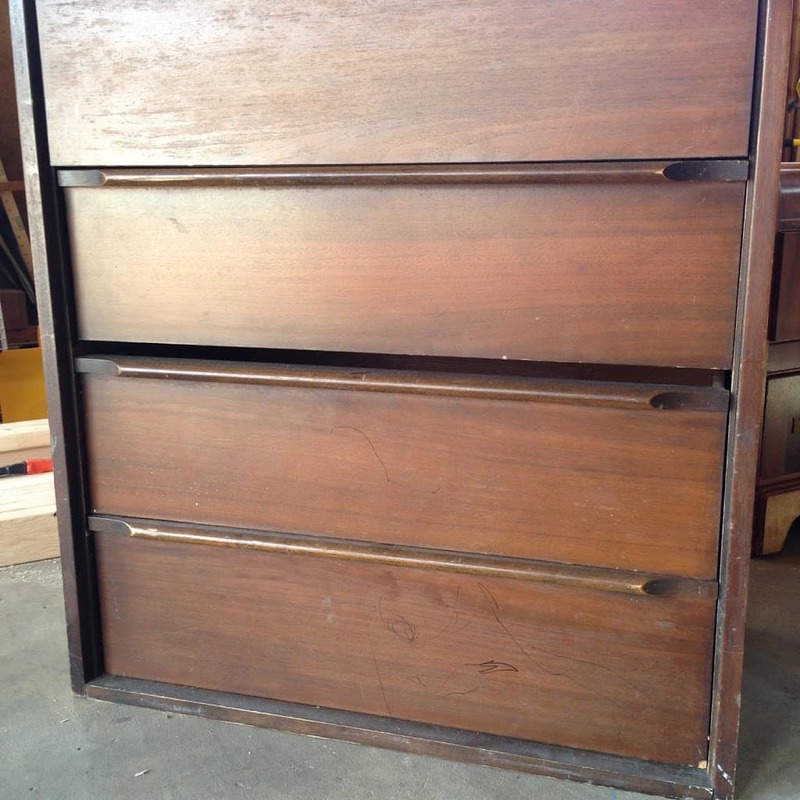 Aren’t those wood handles just gorgeous?? 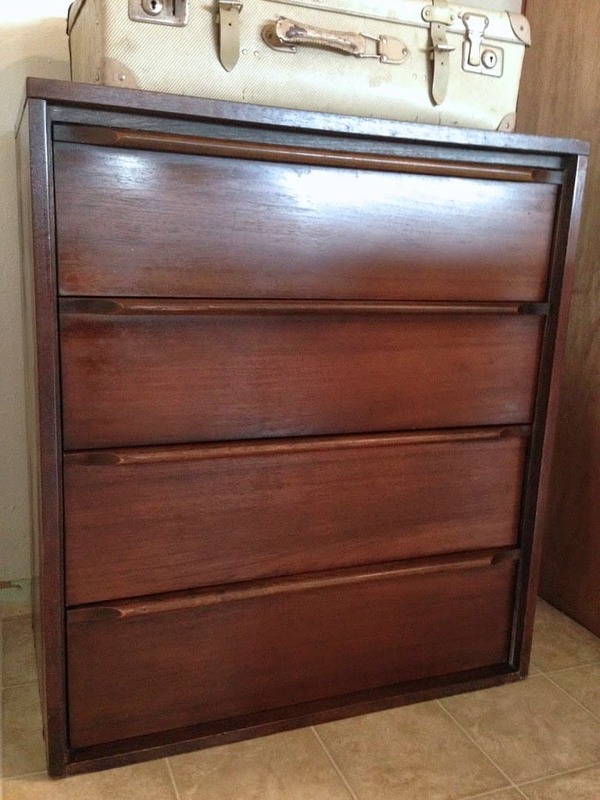 Even though this dresser is a beauty, it is entirely wood with an ugly laminate and particle board top. Doesn’t that just ruin it? 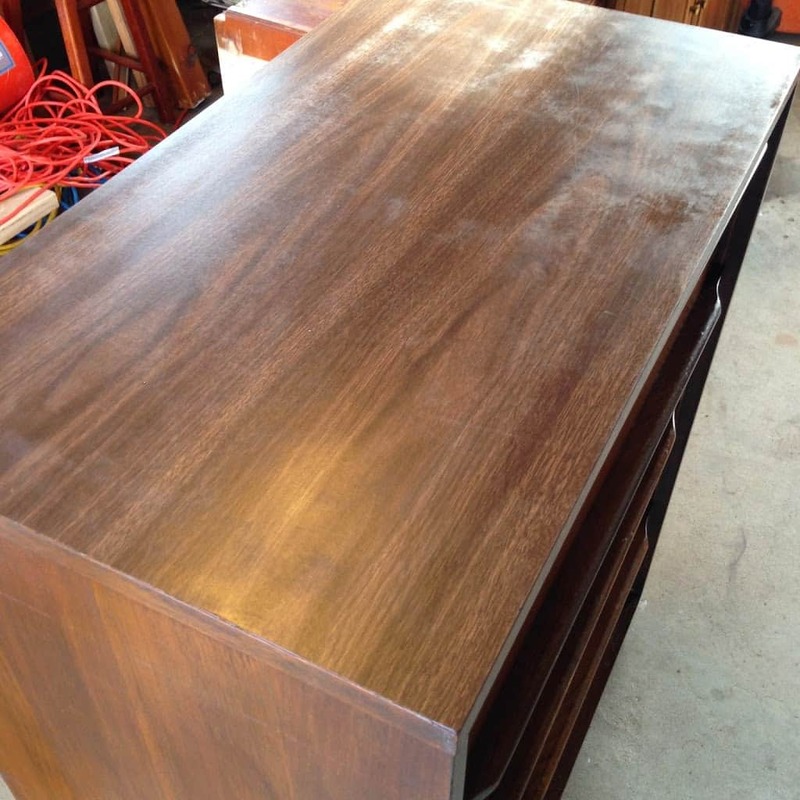 I have it a good cleaning but it’s obvious that it is not wood like the rest. I’m considering maybe framing the entire piece like this or this. For now though I just have a pretty suitcase on it hiding the ugly top. 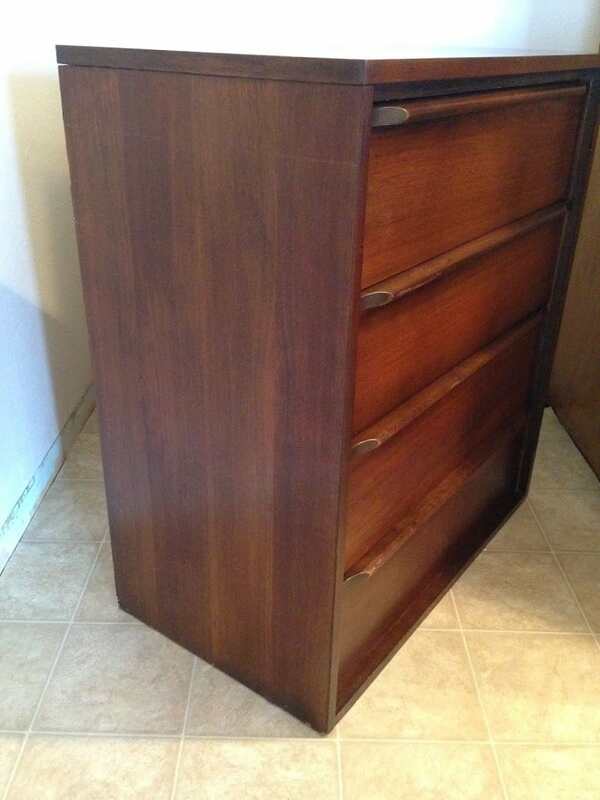 I’d say for a free dresser pretty good huh? !